How to make your data useless? Gather them. Make static reports. Rinse and repeat. Not a fan of that approach, huh? 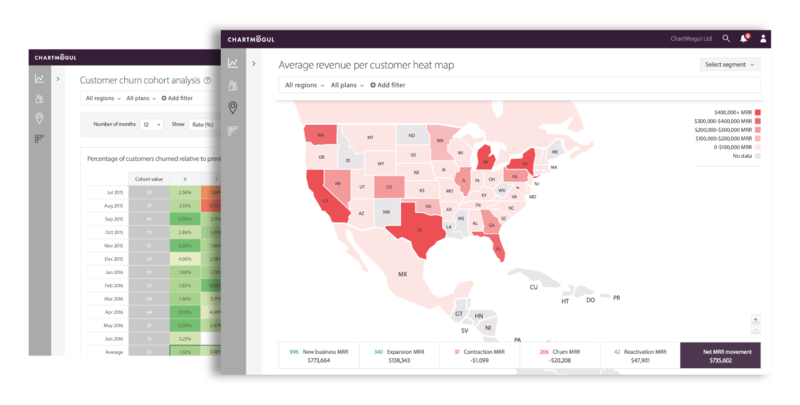 ChartMogul is a real-time reporting and analytics solution for subscription businesses, which helps users to easily automate performance reporting for businesses. 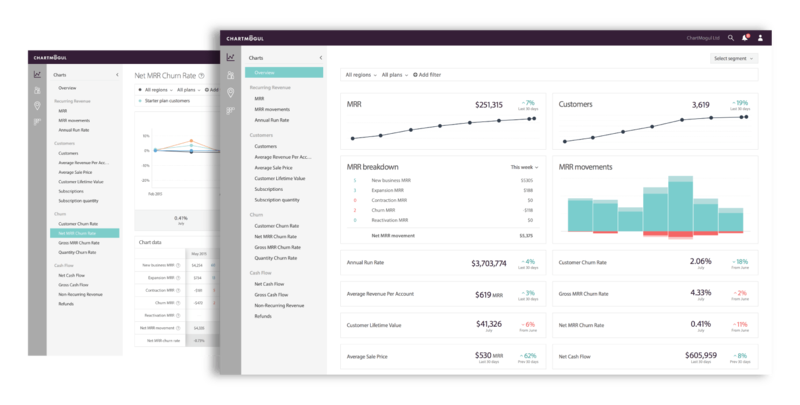 Automatically sync your customers' subscriptions, plans, addons, transactions and other payments-related data from Chargebee with your ChartMogul account. Get additional integrations like Zapier and Clearbit to add more layers to your data, and to aggregate them in a single place. This will also enable you to perform advanced data segmentation (Eg., filtering MRR by Sales representative, Churn by NPS score, etc). Visit ChartMogul to learn more about setting up this integration. ChartMogul is provided by a third-party and is governed by separate terms, privacy, and support documentation.